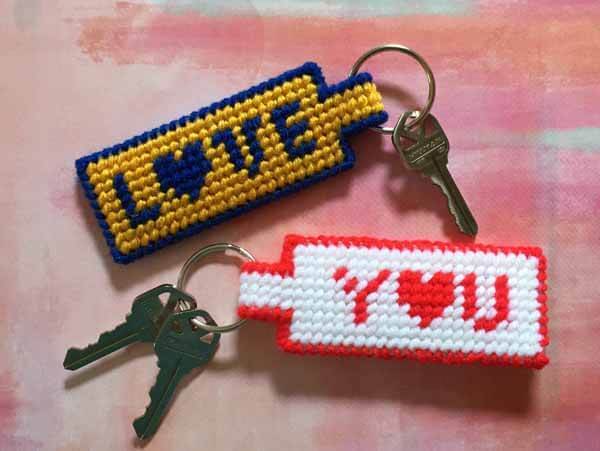 This “Love You” key ring is an original design by Needlepointers.com. It is a plastic canvas project. We have a video tutorial and also a photo tutorial with step-by-step instructions. The project is so easy even kids can make these key rings. This key ring makes up quickly and is a nice gift for Valentine’s Day, Mother or Father’s Cay or as a stocking stuffer.